3 Nations Brewing Co., Rahr & Sons Brewing Co., The Collective Brewing Project. 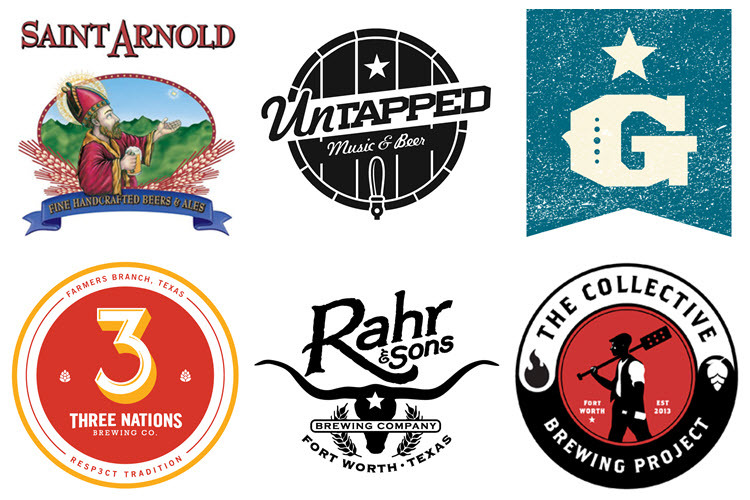 Read any recap of Saturday's Untapped Festival in Fort Worth, and within the first few sentences there's probably going to be some mention of the weather. It was hot. It was humid. It was sticky. Hell, it was Houston (I grew up there, so don't go getting all offended if you're a current resident)! Thankfully, though, there was beer...and while beer can't solve all the world's problems, a cold one or two can certainly help take the edge off a hefty dose of heat-induced delirium. Which reminds me, was I really involved in a conversation about drinking Delirium "Tree"-mens under the gathering point that became the big tree? Anyway, by now you surely know all there is to know about Untapped and what it has to offer, so we'll stick to the routine here and just cover a handful of beers that helped beat the heat. And, of course, the standard disclaimer applies...these are non-whale, new to me beers that I found to be noteworthy. 3 Nations Bull's English Brown with Coffee & Cinnamon: This was almost certainly the first specialty beer I've had from 3 Nations, and it was a good one. I always approach spiced beers with more than a little trepidation, but this one displayed great balance between the added ingredients and the underlying beer. Collective Brewing Project Funky Thunder: A take on the brewery's Tropic Thunder fermented with Brett, this is a beer that pretty much matches right up with the dry and lightly funky description given on Collective's website. Grapevine Prickly Pear Wheat: I've had three or four versions of this beer over the course of its existence, first as a homebrew recipe prior to when head brewer Jonny Daylett joined the team at Grapevine, and now as a commercial product. I've always felt like each incarnation was better than the last, and it appears the production batch is no exception. Rahr & Sons Bourbon Barrel Snowmageddon: I've been wondering what happened to this beer since it was first said to be in the works back in January. Now that I've finally had a chance to try this slightly boozy barrel-aged offering, I can't help but think maybe those at the brewery are just trying to keep it for themselves. Saint Arnold Boiler Room Brett Raspberry: Big on the berries, with just a hint of funk from the secondary fermentation, this was probably the most refreshing beer I had all day. And, at only 3.7% ABV, it's a beer you could probably drink all day as well. Also notable: Four Corners Santana Ray Equinox Lager, Rabbit Hole Wonderlust with Tart Cherries, Tupps For Ella Double IPA.